Like most comedy fans, I've grown pretty attached to the Saturday Night Live cast of my youth — the actors and actresses that made me laugh as a young adult every weekend who will always be the best to me simply because they were "mine", if you get what I mean. That inner circle of favorites started with the likes of Cheri Oteri and Ana Gasteyer, but later in my adolescence grew to include Tina Fey, Amy Poehler and the incredible Maya Rudolph, the latter of which is basically, like, one of the best comedians working in Hollywood today. That's why I was so excited to hear that Rudolph is set to star in Lorne Michaels' new HBO comedy Brothers In Atlanta , about "struggling entertainers and best friends Langston and Moose trying to navigate life in the black Mecca of Atlanta". Excellent! Rudolph is set to play Moose's boss, Shirle, a former '90s R&B star who thinks she's still a top diva, and I can already envision just how amazing this whole thing is going to be. As an actress, she has a particular gift for taking on characters with a streak of ridiculousness and plays them in such a deadpan way that their comedic effect is even greater, because she just seems so serious about it. It's about time Rudolph is back on our screens. I can only hope that her role will be a major part of the show. 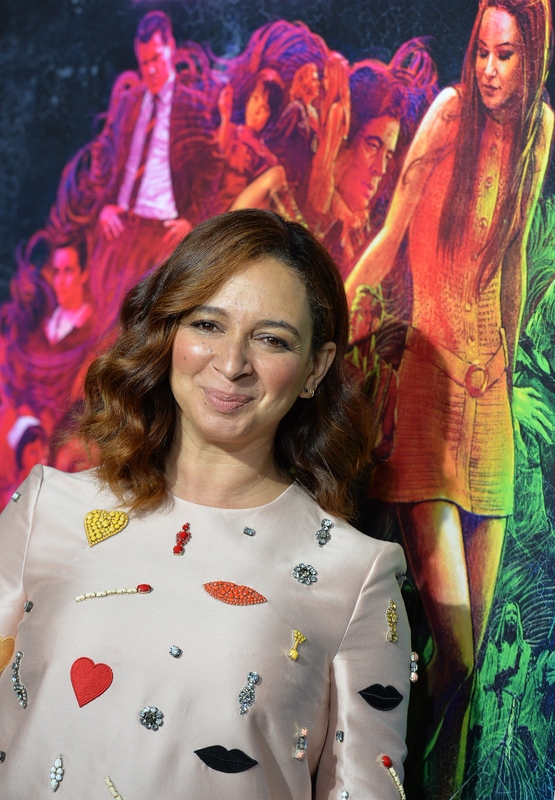 Here are 7 hilarious Maya Rudolph moments that prove just how badly we need her on our TV screens every week. Given that Rudolph is the daughter of Minnie Ripperton, it's not all that surprising that she's so musically gifted. Luckily, she's learned to use that talent for comedic effect, and I'm sure we'll see this skill in action in spades when she's playing Shirle. There's a certain brilliance to how Rudolph nails that refined yet firm air that Phylicia Rashad brought to the screen every week on The Cosby show, and it's amazing to watch. It's so self-aware, yet really playful at the same time. Positions of authority really suit her comedic timing. Perhaps one of the best roles Rudolph has ever played was that of Whitney Houston, which she performed semi-regularly during her time on Saturday Night Live. While the reality of Houston's condition was sad, Rudolph managed to find the lighter side while still paying respect to the late diva. Just another reason why playing Shirle is right up her alley. Not only can Rudolph impersonate Whitney Houston, but she's got a knack for plenty of other stars, too. Her ability to transform into so many different characters definitely comes in handy and will give her a lot of wiggle room on Brothers In Atlanta, as well — so long as they know how to use her talents (and I'm hoping they do). If you're going to film a TV show or movie, you're going to be spending LONG hours on sets, and there has to be some laughter when the camera stops rolling to keep morale and energy up. Rudolph is an absolute scream behind-the-scenes and will probably bring some great moments of improv to the script, as well. Is this one of the funniest interviews ever done by any stars ever? Probably. I don't even think I can type because I'm laughing too hard. This woman is brilliant! How she'll get through the Brothers In Atlanta scripts with a straight face is beyond me, but I'm sure they'll make do.